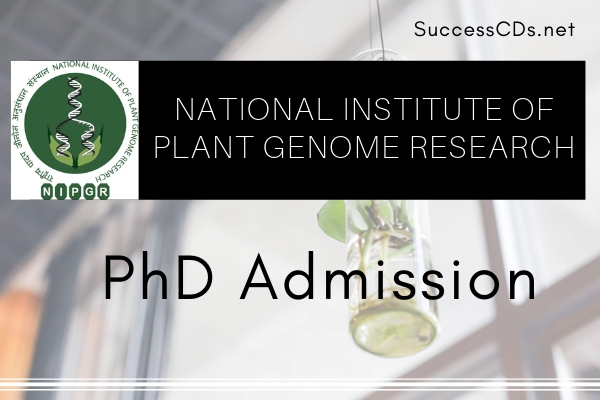 National Institute of Plant Genome Research (NIPGR), is an Autonomous Research Institution, funded by Dept. of Biotechnology, Govt. of India, and conducts basic and applied research in the frontier areas of plant biology. Last Date of Receipt of Printed Copy of Application Form along with requisite Document & Fee Receipt: 29th May 2018 on or before 05.30 p.m. The Admission to the Ph.D. program is through two stage process consisting of Entrance Test and Interview/Viva-Voce. The eligible candidates who have secured the minimum qualifying marks in the entrance examination will be shortlisted for interview/viva-voce. The admission Form is to be filled and submitted ONLINE ONLY along with required documents uploaded in the given format and an online payment through SBI Collect.